Brass Sounds Inverclyde are very excited to announce that our conductor for the Scottish Championships 2019 will be Robert K Dibden L.T.C.L. Robert takes over as the person in front from Chris Mansfield. Chris took over the baton during a difficult period of rebuilding the band guiding them to Fourth Section Champions in 2016 and various other section titles during his time with the band and they wish him well with his future ventures. Robert commenced his early music training as a member of the Ayr corps of the Salvation Army where he learned to play cornet. He graduated through the young peoples band then the senior band serving as Deputy Bandmaster then Bandmaster for 30 years. 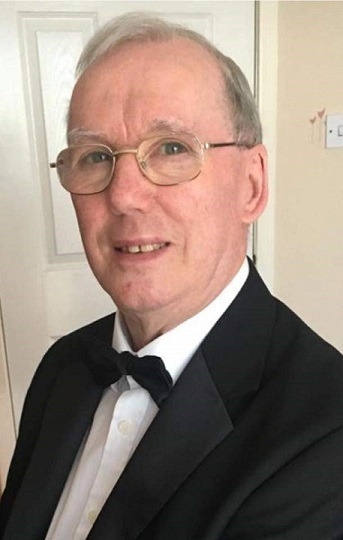 After teaching in South Ayrshire Schools as a Brass Tutor for 35 years he retired and was offered a part time position teaching brass and Piano at the prestigious Wellington School Ayr. In semi retirement he enjoys playing golf, travelling extensively with his wife Lesley and likes nothing better than to play Jazz piano as a form of relaxation. The band are very pleased that Robert has taken the conducting position. With his experience in both conducting and music the players are sure that the band will continue to build on the good foundation that Chris helped rebuild.